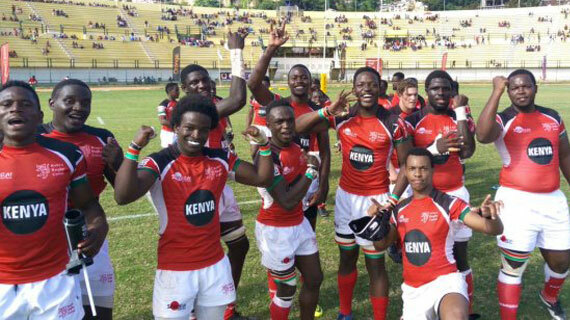 The Kenya Under-20 rugby team missed out on an opportunity to vie for a place in the World Junior Trophy when they fell 37-18 to Namibia in the final of the South Region on Saturday evening in Windhoek. The side had progressed to the final after a whitewash of Madagascar last Thursday, but they could not replicate the same form against the hosting nation who have now booked a slot in the African final against Northern Region winners Tunisia. Chipu soaked in early Namibian pressure and soon took the lead when Joshua Macharia raced down the left flank to see his team go 5-0 up after eight minutes of play. A hard fighting Namibia finally got into the lead through Pieter Diergaardt’s converted try. Chrischen Oliver sent the hosts 12-5 up when he went over five minutes later, with Kenya still fighting to retain their hold of the game. The Kenyan pressure soon paid off when Mark Mutuku barged over with captain Xavier Bett converting to tie the scores with just six of the half left. However, the Namibians regained the lead through Oderich Mouton who gave them a slim 17-12 lead at the break. Kenya were still in this one after the restart, Bett’s penalty bringing them to within two points of Namiba, the scores 17-15 after fifty minutes of play. The Namibians would two successive tries, Gershwin Mouton touching down eight minutes later with Diergaardt landing his brace on sixty four minutes to go 27-15. Both sides would trade penalties, Kenya’s penalty coming from Macharia, before the Namibians killed off the tie with a converted try at the death to confirm the result.